These are general predictions for Leo born for 2016 based up on the Moon Sign/ Ascendant, whichever is stronger in the chart, as well as on the basis of transit of other planets during the year. Specific predictions depend upon the placement and strength of planets present in the chart of an individual. These predictions will highlight the results of benefic planet Jupiter and also the adverse effect of malefic planets like Saturn, Rahu and Ketu. Precautions and few remedies are also suggested. At the beginning of year 2016, Jupiter will be transiting in the first house in Leo. Saturn will be transiting in fourth house in Scorpio sign. 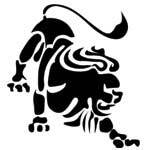 Rahu and Ketu will enter your first and seventh house in Leo and Aquarius Signs respectively from 31 Jan 2016. This year will give generally good results so far matters related to family life are concerned. Jupiter transit in first and second house during this year should be considered favorable for family matters. Though, presence of Saturn in fourth house may give unnecessary tensions. You may not be happy with the treatment of your closed ones. Second half of the year is supposed to relieve you from the depression. Family life will be enjoyable and supportive. Friend circle will also be helpful. You will get opportunities for betterment at your workplace but at the same time you may have to work harder to get the results. There may be possibility for change of job or relocation at workplace. Ninth aspect of Jupiter will keep you optimistic in spite of some opposition at work place. Months of April to June 2016 may be considered favorable for career and professional life. Financial position will remain favorable. Last two months should be considered positive in this regard. You will get the help of your known ones for accumulating the funds. Your opponents will get set back in their planning to harm you in the month of November and December 2016. For lovers, this year will generally give mixed results. Rahu aspect may not give the desired results and support in spite of favorable atmosphere. Married life may also remain afflicted due to misunderstandings in relations. Ego problems may also develop to bring bitterness and misunderstanding. December 2016 may give some more negative results. Married life relations may get disturbed during this year. Months of April, May and November may give some favors. Health will be generally good throughout the year. You may face some BP or heart related problems or stomach problems during months of November and December. You may develop the tendency to consume alcohol. Beware of this. This year may not prove to be fruitful for students particularly the last quarter of the year. They may remain disturbed during this period and may not be able to concentrate on their studies due to irritation of mind. Jupiter transit will give positive results almost throughout the year. Jupiter will provide opportunities for those who are willing to marry. You may feel satisfied with your financial position and family life. This transit will also play positive role at your professional front. You attitude will be positive during second half of the year which will attract respect and honor from the society. Some auspicious ceremony may also take place at home. You may also be thinking of investing in stocks. Rahu transit this year may cause mental tension and health problem. Relations or health of spouse may also be cause of concern. You will remain self-centered and behave in selfish manner. Aggressiveness in behavior may also cause married life discord. Transit of Ketu this year is also not good for married life. There may be ego problem. Relations with the brothers may also spoil. Problems related to Urinary System or stomach may be cause of concern. You should also be careful of the partners who may plan to deceive you. Saturn transit will also not prove to be fruitful. You may feel lethargic at your workplace. You may also be forced to relocate your workplace which may create tension. Two and half year period of Shani popularly known as DHAIYYA has started from November 2014. This is also known as a difficult and tough period, as per Vedic Astrology depending up on the position of Saturn in the natal chart. Atmosphere at workplace may not be cordial and you may have to face unnecessary delays and obstructions causing stress in life. Remedial measures should be taken in advance to avoid any adverse effect of this period. You should be careful during the last quarter of the year which may bring physical and mental troubles. You should worship Lord Shiva or worship Lord Rama and recite Ram Raksha Stotra. Blessings of father will protect you from the ill effects of planets. Some of auspicious results of Jupiter may be reduced by the transit of Rahu. Avoid unnecessary arguments with spouse and brothers. Be careful while signing any document. Problem of illness of lower part of the body may be cause of concern.